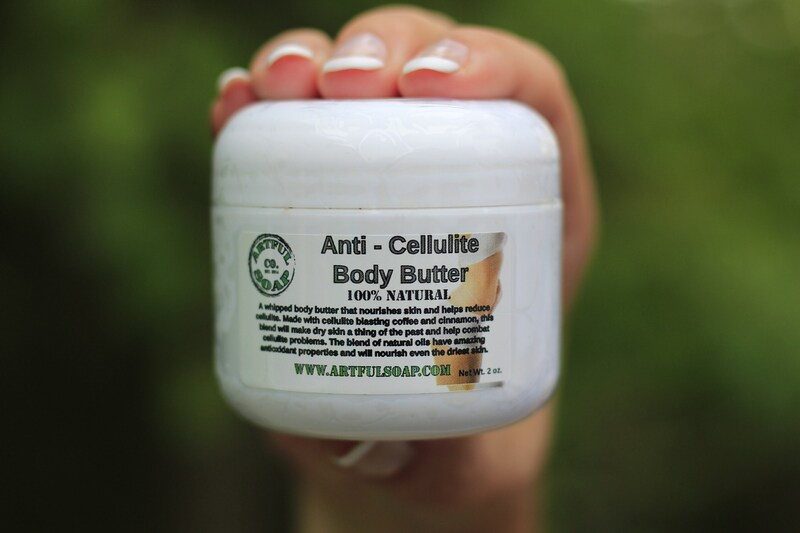 Anti Cellulite Body Butter, Body Butter, Anti aging, Anticellulite, 100% Natural, Handmade, Natural, Anti Aging, Handcrafted. 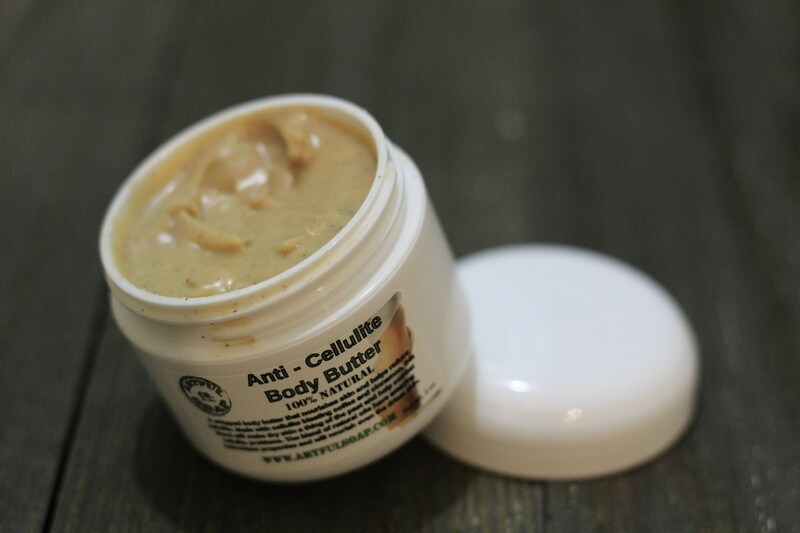 Need a deep moisturizer and want to help rid cellulite from problem areas at the same time? Then we have the answer! Our newest product in our Anti-Cellulite line is sure to assist you in winding back the clock and seeing younger looking skin! 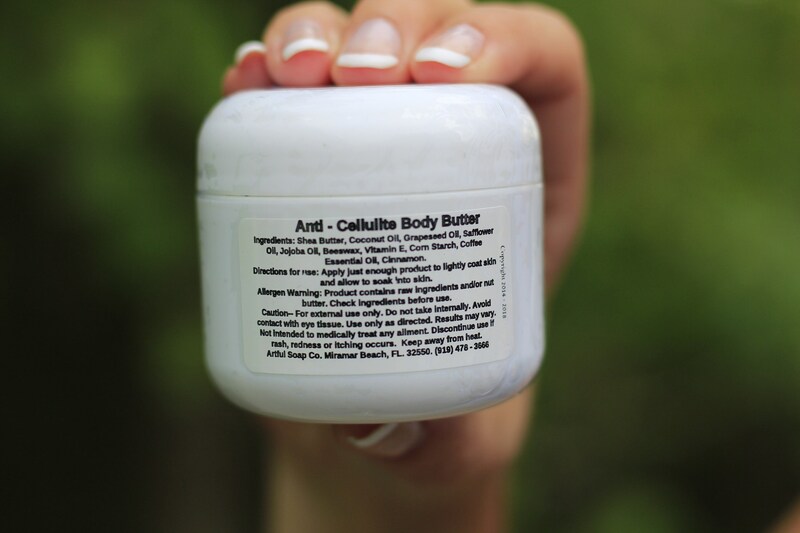 We did extensive research to find out which natural ingredients had the biggest impact on cellulite. What we found was caffeine loaded coffee, and pure cinnamon work best to dissolve cellulite beneath the skin. Most recipes we found used one or the other. We decided to combine them both! Grab this body butter today and start rubbing away the years! Ingredients: Shea Butter, Coconut Oil, Grapeseed Oil, Safflower Oil, Jojoba Oil, Beeswax, Vitamin E, Corn Starch, Coffee Essential Oil, Ground Cinnamon. 2 Oz Net Wt.